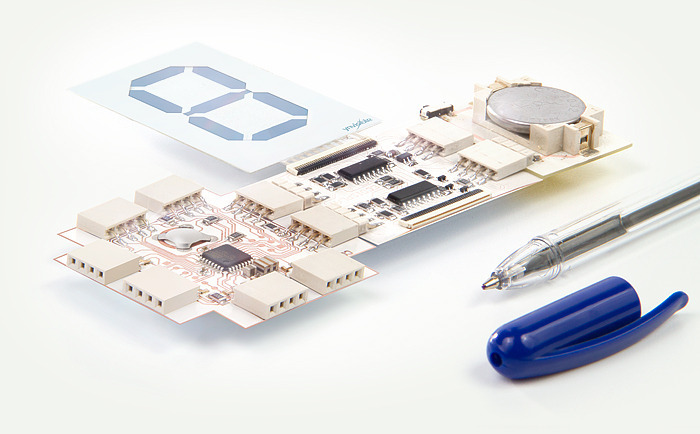 Printoo is a platform of paper-thin circuit boards and modules. 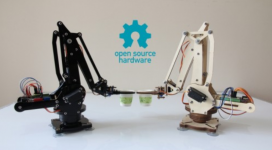 It gives makers an open-source, lightweight, flexible, and modular Arduino-compatible platform to create just about anything you want! 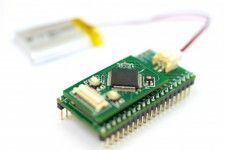 What makes Printoo amazingly unique is that it comes with a range of printed electronics modules previously unavailable to the public. These are electronics building “blocks” of the future, only not so rigid. The Flexibility To Bring 3D Printed Objects to Life : Printoo is the first development board that is flexible and light enough to bring any of your 3D printed objects to life – no matter what shape it is! Add internet and Bluetooth connectivity, input, output, motorization, light and motion sensing, and power… Even SOLAR, to almost any configuration or weird shape you print! Powerful cores, modular components, free code, free apps: Plug the modules together, tinker with the Arduino™ sketches we are making available, and use the apps to connect and control Printoo – bringing your ideas to life! Example projects with the CORE PACK!